IWRG, Grupo Internacional Revolucion, is a promotion based in Naucalpan. They're an independent group with their own championships and television show. IWRG was started in 1996 and was founded by Adolfo Moreno. His three sons have took over management of the promotion before Moreno's death. Arena Naucalpan was a UWA allied arena to start. It started using both UWA and CMLL allied luchadors for it's top matches in the early 90s, and then switched over to being CMLL only as the UWA failed The two promotions had a falling out in late 2007, over IWRG using El Hijo del Santo. CMLL had banned all affiliated luchadors and promoters from using Santo. IWRG broke that veto, and CMLL refused to send talent any longer. IWRG went on it's own for a few years, relying on independent luchadors for main event talent while occasionally asking CMLL to repair relations. Finally, in June 2010, IWRG agreed to a deal with AAA. AAA luchadors haven't appeared as much as CMLL ones used to, but AAA has held TV tapings from Arena Naucalpan. IWRG has also had relationships with Japanese promotions. The first days classes of Toryumon wrestlers got their starts in the early days of IWRG, and are among some of the first champions. IWRG rekindled that relationship with successor promotion Dragon Gate in the late 2000s, to the point of Dragon Gate reps teasing a Dragon Gate Mexico show and CIMA recapturing the IWRG Intercontinental Welterweight Championship, but the promotions suddenly stopped working together. Prior to that, AJPW was sending their rookie wrestlers over to gain seasoning. 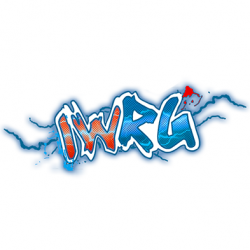 The abbreviation IWRG comes from the English version of the promotion name, International Wrestling Revolution Group. The associated training school is called FIL (or FILL), Futuro Idolos de Lucha Libre. IWRG, in good business times, has promoted at other arenas around Mexico State, including Arena Neza and Arena Xochimilco. IWRG's annual Castillo del Terror in 2015 came down to Golpeador & Golden Magic climbing out of the cage at the same time. (Unlike all previous occasions, this IWRG cage was first to touch the floor, not first to escape.) As Golpeador and Golden Magic fought on the side of the cage, Golpeador slipped and fell off the cage. Golden Magic dropped off immediately after. The referee awarded Golden Magic the win, though it was clear Golpeador 'escaped' first. Golpeador losing his mask had obviously been the planned finish and he did unmask, though only after complaining about the decision. The fans loudly chanted "fraude" at the finish, and during the unmasking. Fans continued to complain on social media afterwards. IWRG defended itself by saying they only make the matches, not determine the finishes. (This is not accurate.) The Mexico State lucha libre commission stated the decision of the referee was final and they could not overturn the outcome. (They have in other cases, when it's been part of the story.) The referee involved in the decision disappeared from Arena Naucalpan for some time. The IWRG fan base had already been negative towards Golden Magic, and the reaction caused him to turn rudo a few weeks before leaving to work for Elite. Golpeador remained in IWRG for a couple more weeks, then left, but that may have been the original plan. This incident is similar to a 2008 cage match in Nuevo Laredo, where Laredo Kid was injured and unable to escape the cage, and Sangre Chicana declared himself the loser anyway (as likely had been the plan) while Laredo was stretchered out. This page was last edited on 26 January 2018, at 12:00.